FIELD NOTES: What's Your Mood, Dude? 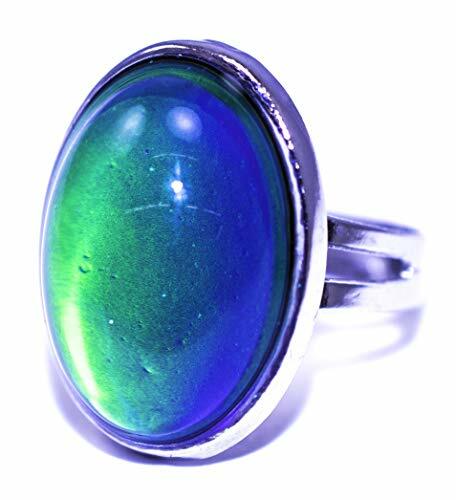 If you were alive in the mid-70s, you probably owned or knew someone who owned a mood ring. These cheesy accessories featured a stone which changed colors, supposedly according to the wearer's emotions. In reality, the stone was a piece of glass with a layer of liquid crystals in the base. These crystals rearranged themselves based on the ambient temperature, causing them to reflect light in different ways and appear as different colors. Whether they could in any way reflect the mood of the wearer is highly doubtful, but it was cool, relatively low-cost technology in an era when simple four function "pocket" calculators cost the equivalent of $250 in todays money and the handful of existing "fax" machines took hours to transmit a single page and ran five figures. What you may not have considered is that mood rings never really went away, they just grew up, got more capable and became liquid crystal displays. In fact, there's a good chance that you are reading this on a computer, tablet or phone screen that is the great-great grandchild of that silly ring you wore in high school. Now, if we could just find a use for those old platform shoes and bell-bottom pants.